After what seems like endless months of waiting, Microsoft began rolling out the Windows 10 Anniversary Update to all users yesterday. It arrived four days after the one-year anniversary of the launch of Windows 10, which is now found on more than 350 million devices. 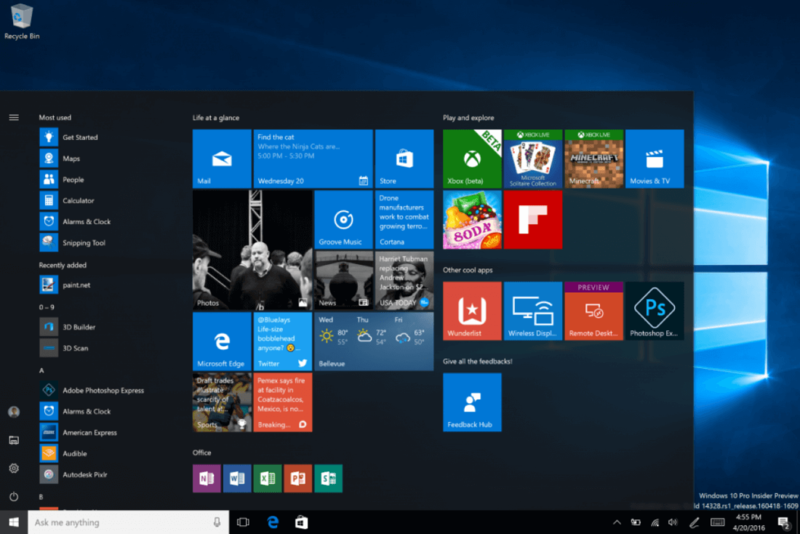 The anniversary update brings a number of new features to Microsoft’s latest operating system – some more significant than others. One the best improvements see extensions finally arrive for Edge; fans of the browser will be able to use the likes of AdBlock, AdBlock Plus, LastPass, and EverNote. Moreover, as the update makes Edge more power-efficient, those using it on a mobile device should find their batteries lasting longer. Another big improvement that will be welcomed by anyone who uses a device that supports a stylus - such as the Surface Pro 4 - is the new Windows Ink feature. The dedicated ink workspace is like a Start menu for all your stylus-supported tools and apps. You can even write down a reminder on a virtual sticky note and transform it into an instruction for Cortana. Other update changes include the arrival of the Linux command line and Bash shell, a smarter Cortana, an overhaul of the Start menu, the Xbox play anywhere initiative, new security features, over 52,000 new emoji, and many more. If you haven’t already received the update, which will download and install automatically (after a restart) providing you’ve chosen the auto download/install settings, you can manually prompt it by going to the settings menu> Update & Security>Windows Update> check for updates.